From the moments leading up to a race to the final victory lap, a day at the track is always exhilarating. When you have decided to cross the line from an ordinary car enthusiast to participating in track day events, there are a few ways that you can prepare to ensure a safe and comfortable event. Whether you are getting ready for your very track day or you are a seasoned driver, following a few of these handy tips is a sure way to improve your racetrack experience. Alignment: Make sure that your vehicle’s alignment is calibrated correctly for track conditions. 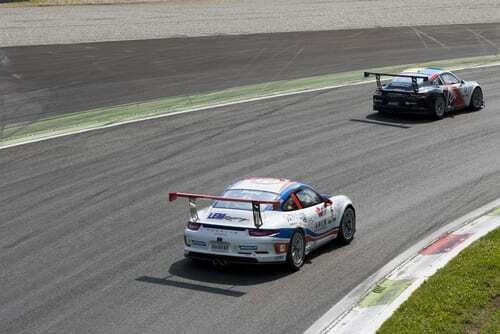 The aggressive nature of driving on track means that everything needs to be appropriately balanced to compensate for the extra force that will be exerted on your valued driving machine. One of the parts of the alignment we change is additional negative camber. Tech Inspection: It is vital that you are not only set up with the proper driving gear but also that all of your driving technology is within the bounds of the sanctioning body regulations. Contact your sanctioning body to find out the exact specifications for modifications, electronics, and performance enhancements. Safety Inspection: Do not skimp on safety. Get your safety inspection performed by a seasoned inspector with a history of excellence. Losing the race because of a careless safety blunder would be one thing, but losing your life because of a safety issue would be tragic. Engine and Gear Oil Change: Make sure to swap out the oil to ensure that the engine and transmission are well lubricated. The demanding nature of track days or racing requires that your vehicle has all of its basic maintenance squared away for maximum performance. Brake Flush: When you are going extra fast you need to be able to stop quickly. Make sure that your brakes are at their best by getting a brake flush. Brake fluid absorbs moisture from the air and if there is too much moisture in the brake fluid it degrades the stopping performance. While you’re at it, make sure that your brake pads are up to par too. Track Specific Sound Limits: Race tracks are built in all kinds of locations throughout the country. Some are secluded in more rural areas, but others are close to city centers where spectators can come to watch the race. That means that there are legal limitations on the amount of noise that any vehicle can make in a specific venue. It is pertinent to call the racetrack and get the right information, or you could be disqualified. Hiring onsite track support is a great idea. If you are driving, you will be busy. You won’t have time to handle the many different problems that can arise during a race. Maintenance of the vehicle is the primary concern here, including fueling, tire changes, pit support, driver instruction, minor repairs, and much more. Getting onsite support is a no-brainer for anyone who is serious about racing. Preparing for a day at the racetrack can be a significant amount of work. One way to get all of the help you need for a great day at the track is to utilize the Arrive and Drive service at 911 Design. We have over 30 years of experience in maintaining and building race-ready Porsche® vehicles. The Arrive and Drive program includes preparation, maintenance, tuning, repair, and transportation of your race car. You can show up and drive without having to worry about any of the more tedious aspects of racing. If you are interested in having a bespoke racing experience, then call us today at 909-982-9111 or fill out our online contact form. We look forward to seeing you on the track. What Is Frame Damage and How Is It Repaired?